One of the biggest challenges of getting a private student loan is that most private student loans typically require a cosigner. At this point in time, most people have written it off as common practice (in fact, a recent CFPB study found 90% of private loans had cosigners). 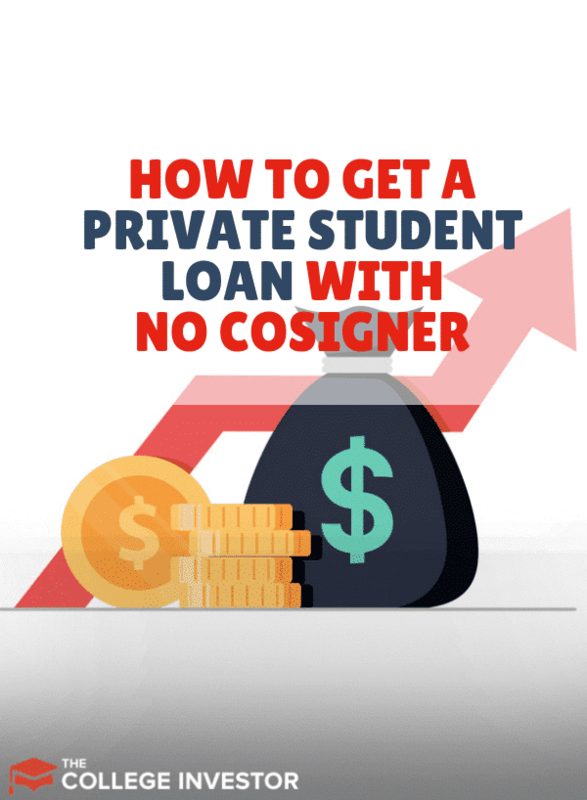 However, it's still possible to get a private student loan with no cosigner. You just have to know how the system works and set yourself up for success. Also, as a side note, we highly recommend taking advantage of Federal student loans first. Federal student loans typically have better terms, offer income-driven repayment plans, and potentially offer student loan forgiveness programs to borrowers. Private loans don't offer these at all. Private student loans operate much like auto loans or mortgages. Borrowers are approved based on their credit worthiness (unlike the requirements for Federal loans where you simply have to apply for the FAFSA). Most lenders are going to want to see a good credit history, with a score of 700 or higher. The best rates will likely only be offered to scores above 750. This can be difficult for young borrowers who simply don't have the credit history built yet. Second, most lenders are going to want to see proof of income. Once again, this can be challenging for borrowers who are in school. Most banks, on average, want to see at least $25,000 per year of income. While some students may earn this, many do not. Finally, you must be a U.S. Citizen. This is important because most lenders will only lend with the safety net of U.S. law. So, where can you find a lender? We recommend Credible as they will compare your options. Most of their lender will require a cosigner, but if you meet the requirements above, you might be able to get a loan cosigner free. Check out Credible here and see if you can get a loan. You can also check out our guide to the best places to get a private student loan. The key aspect to qualifying for a private student loan with no cosigner is building your credit history and having a great credit score. If you're young and in college, how are you supposed to do that? It's tough, but possible. 1. Become an Authorized User: If you can become an authorized user of someone else's card (such as a parent), that credit history will report on your credit report, potentially boosting your score. 2. Get a Credit Builder Account: Use an account like Self-Lender where you get a small loan that you essentially pay yourself back. This will report to the credit bureaus and boost your score. 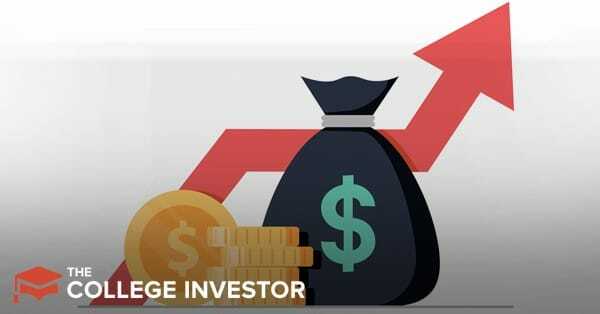 Read our Self-Lender Review here. If you're over 21, you have more options to build your credit, simply because you can now get a credit card more easily. If you don't have credit at all, you can see if you can get a secured credit card. These cards require you to place a deposit, which essentially becomes your spending limit. The more you use it and pay it off on time, you'll soon start seeing your credit build. Having a cosigner isn't a bad thing - there are just risks involved. When you get a cosigner with good credit, typically you'll see better rates and terms than not having a cosigner. But there are risks to being a student loan cosigner. For the cosigner, it's important to remember that you are just a liable for paying back the student loan as the borrower. Furthermore, you could face a lower credit score due to having more debt (it impacts your debt-to-income ratio). Also, you could be 100% on the hook for the loan should the borrower become disabled or even die. While some loans do offer cosigner release, it can be challenging to get the lender to release the loan. Furthermore, even cosigner release provisions have waiting periods - such as 2 to 3 years before you can even apply. If possible, it's always a smart bet to attempt to get a private student loan with no cosigner first. If you need a cosigner, make sure that the borrower gets life insurance to cover the balance of the loan. That way, the loan can be eliminated if the borrower dies. It's sad to think about, but it happens. And life insurance on a college student is cheap! Check out Haven Life for quotes to get started. It can be hard to qualify for a private in-school student loan without a cosigner because of the income and credit score requirements. However, you should always try to first. And, if you do need a cosigner, make sure you protect your cosigner and that both of you know exactly what you're getting into.